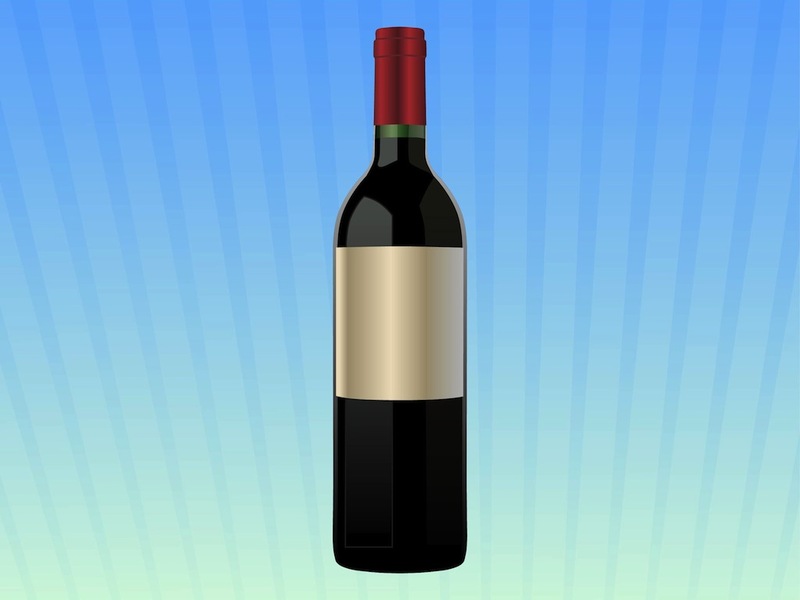 Generic vector template for a wine bottle design. Dark glass and liquid inside the bottle, shiny blank label and sealed top part. Free space for your branding, logo, images and slogans on this realistic vector design. Free graphics for all wine, alcohol, alcoholic drinks, beverages and bar design projects. Tags: Alcohol, Beverage, Blank, Branding, Drink, Glass, Label, Red Wine.